From Wikipedia: The District Municipality of Muskoka, more generally referred to as the District of Muskoka, or simply Muskoka, is a Regional Municipality located in Central Ontario, Canada. 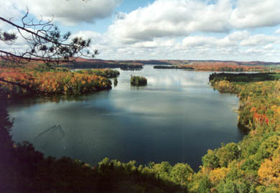 Muskoka extends from Georgian Bay in the west, to the northern tip of Lake Couchiching in the south, to the western border of Algonquin Provincial Park in the east. Located approximately two hours north of Toronto, Muskoka spans 2,500 square miles (6,475 km²). Muskoka has some 1,600 lakes, making it a popular resort destination. From Mark: It’s in Canada. I’ve got some Canadian whiskey. I’m watching some Corner Gas. What the hell, let’s make a Canadian cocktail! 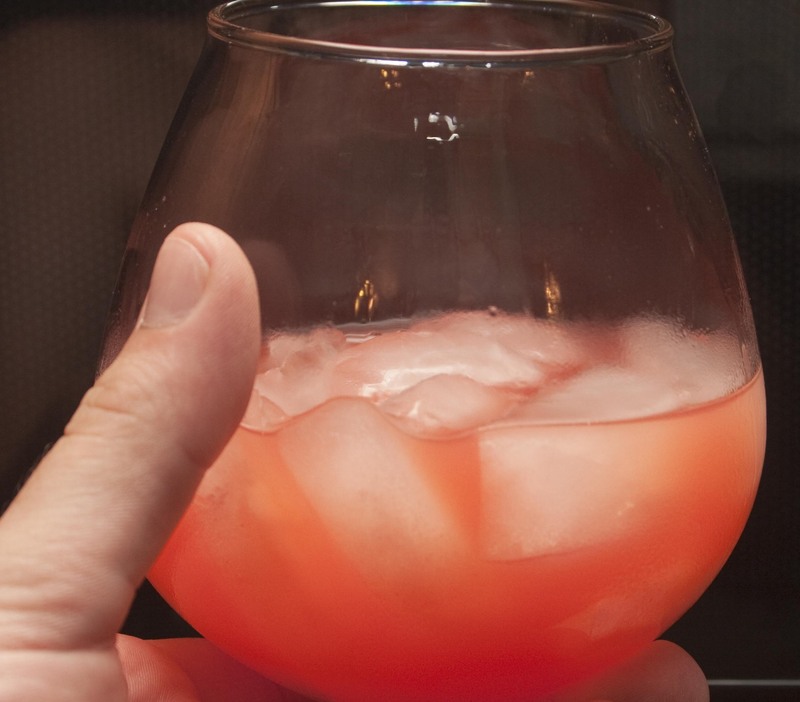 Mix all ingredients with cracked ice in a shaker or blender. Strain into a chilled whiskey sour glass filled with ice. I’m not sure which is stranger — the taste of the fact that it’s a strange taste, but it’s still kind of… well… delicious. I mean. It’s bizarre, don’t get me wrong. And it’s certainly not for everyone. But, the sweet, smokiness of the whiskeys mingles with the sweetness of the grenadine and syrup. Then you have the tart of the lemon and orange juice. It’s… I can’t really describe it. It makes me think of sitting on a porch on a chill fall evening with a fire going in the fire pit. Snuggled up, warmth. It’s odd. But it’s good.